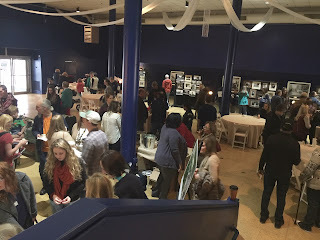 A genealogy blog sharing basic information about genealogical research, tips on organizing and processing what you find, and ways of sharing this information with others. Come along and start celebrating your family stories. This year is going to be a special one in my hometown of Johnson City, Tennessee. Our town, being 150 years old, will celebrate its sesquicentennial in 2019, and the party has begun. So much to see, hear, and do at this party. On Saturday, Jan. 5, several hundred citizens, along with local politicians, a beauty queen, and a member of Congress all gathered in downtown Johnson City to get our party started. 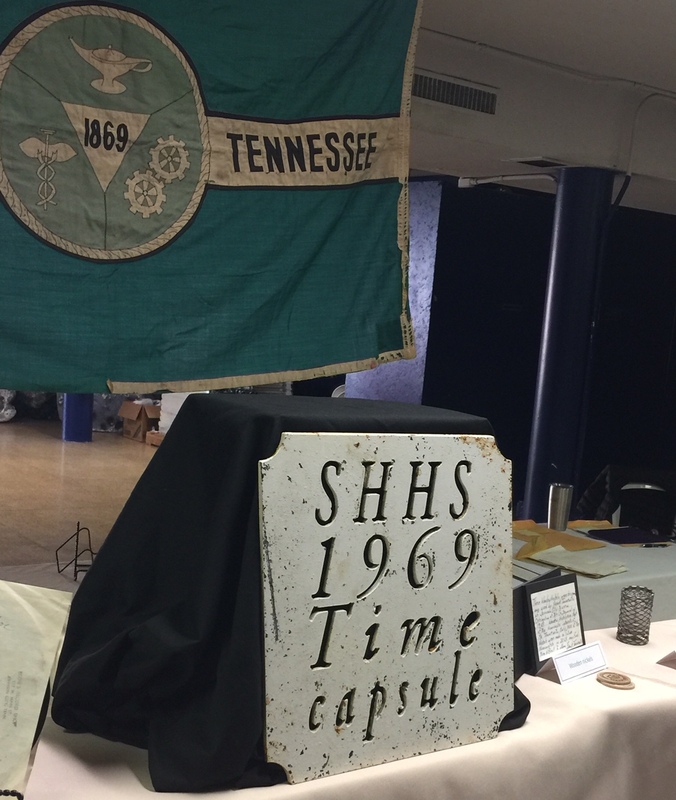 The focus for this event was the display of items previously placed in a time capsule back in 1969. This capsule had been created during the celebration of Johnson City's centennial. Wanting to look at the capsule's contents was enough to get me out of the house to attend the event. I'm so glad I did. A portion of the sign from the time capsule was on display. I learned that the capsule had been installed during the construction of the high school which my children later attended. The accompanying list of artifacts showed that items ran the gamut from serious to fun. 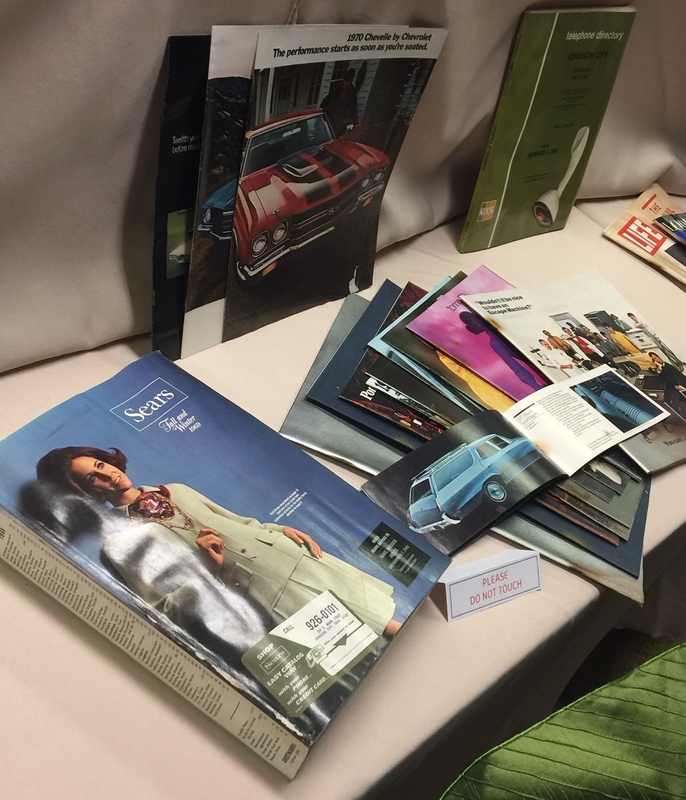 There was an impressive variety of items in the 1969 time capsule. The line to gaze at the items from the capsule moved slowly, but no one seemed to mind as virtually everyone could find something interesting in the display. There were items pertaining to city government such as the former city flag, a 1969 city map, a copy of the 1969 city budget and a key to the city. Also on display were photos and information about the city's hospitals of the day, our public school system, the two local colleges, and the university. 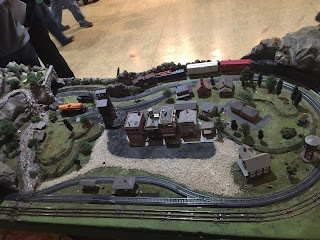 Admittedly, the line slowed as we passed by the displays relating to everyday life, things like a 1969 Sears catalog, newspapers with historical headlines like "Men Walk on Moon", samples of products made in our town, and some popular children's toys. 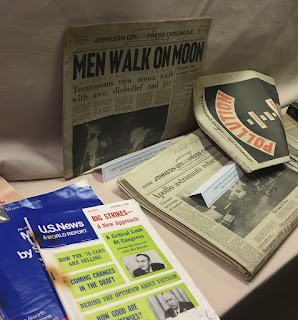 There was a fascinating scrapbook of local newspaper articles covering the variety of events celebrating the 1969 centennial, and there always seemed to be school age students leafing through its pages. 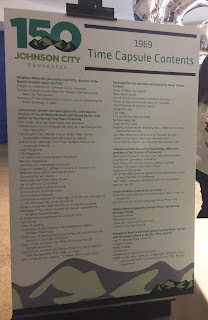 I was excited to learn that the time capsule items will remain on display in the downtown area for some time so that others can continue to take a closer look at our city's more recent history. Another part of the official program included the reading of a letter written by the 1969 mayor of the town to the 2019 Johnson City mayor. Our present mayor, a woman with a distinguished record of public service, didn't seem to mind reading the salutation, "Dear Sir" and graciously accepted the letter's warm wishes for success and prosperity for our city in the year 2019. My favorite part was seeing the number of children and younger families at the party. 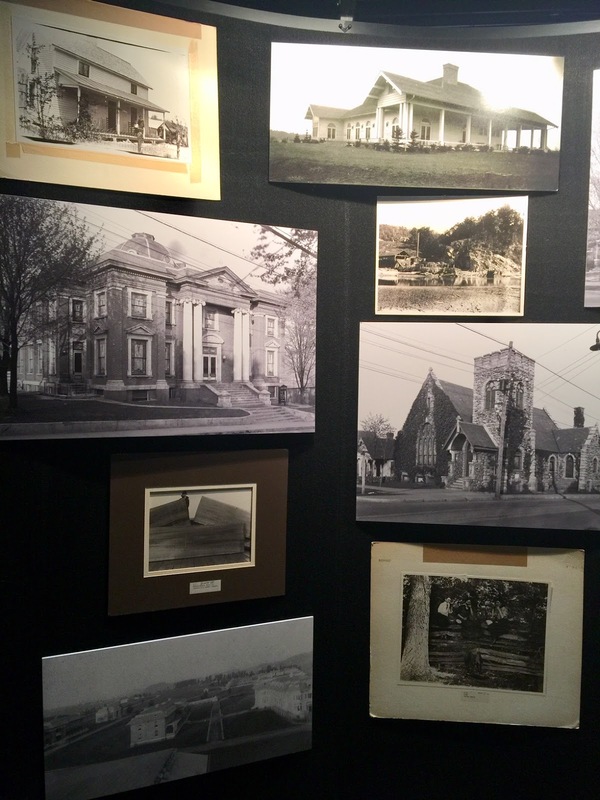 They would browse the numerous displays of photos of churches, businesses, and schools from the town's 150 year history. And there would usually be an older person close by who was glad to answer any of their questions about the past. I was one of them as I answered a few questions relating to the picture of my church's building back in the early 1900s. It was interesting to see photos of city churches throughout the years. 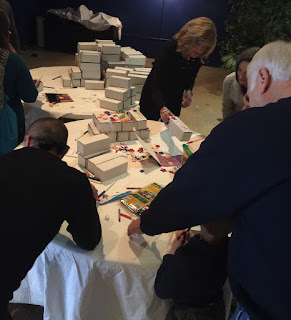 Another fun spot was a craft table, complete with small cardboard boxes, markers, and stickers, whatever a child might want to make and decorate his or her own time capsule box to take home, fill, and then open at some point in the future. Seeing the kids working on their boxes made me wish my grandchildren had been in town and could make a box for themselves. Making your own time capsule was a great family project. There was no Photo Booth at this party. Instead, people could record a message to the future to be included in the 2019 time capsule. It turned out to be another great family activity. No one seemed to mind the spectators who gathered to watch and to hear the various individuals and groups contribute a 30 second message, a few even adding a little song and dance to their message. Hopefully, 2069 technology will permit these messages to be played and enjoyed in the future. And the party wasn't just things to look at. We had a sing-along to "I Heard It Through the Grapevine", a hit song from 1969. We celebrated as three generations of a family blow out the three giant candles on the birthday cake. And what's a party without cake! Everyone was invited to sample the delicious birthday cake, made by a local baker who just happens to be scheduled to be on a Food Network program in the coming months. It all made for a pretty good party. I'm already looking forward to attending future sesquicentennial events. The more, the merrier. The photo displays were well organized and labeled. The hard work of others provided lots of information in an interesting and accessible manner. In a similar vein, when we share old family photos, it might garner more interest from family members if we, too, include a little bit of the Who, What, When, and Where to accompany some of the pictures. It was great to see the time capsule activity available for children. We just might have some new historians on our hands at the bicentennial in 2069, ones whose interest started with a simple craft idea. Our public library had a display of some local history materials from the Tennessee Room, their genealogy collection area. There was also a member of the library staff present to talk with people about the library's genealogy resources as well as to provide information about our local genealogy society. This was a simple, effective marketing tool. Additional photos and resources were provided for viewing at the party by East Tennessee State University and by the Archives of Appalachia which is housed at the university. 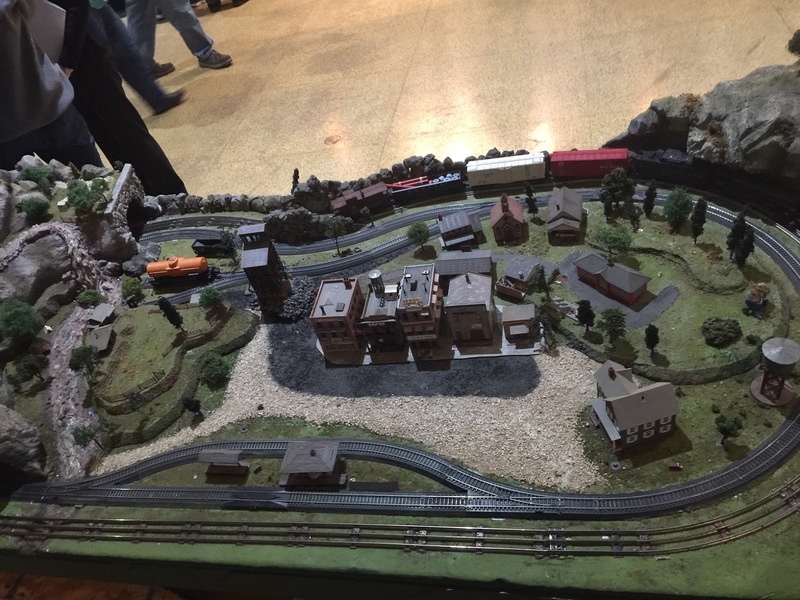 This was another example of increasing exposure within the community as to the variety of historical (and potentially genealogical) resources available at the local level. It also spoke loudly of the important of providing accessibility to such resources. The party was another reminder that we, too, are part of making history every day. It was a chilly, dreary fall day, one just made for spending time online, searching for new family information. I decided to start by checking on some Ancestry hints mentioned in a weekly email. Not expecting to find anything of great note, I ended up being transported back to colonial days and learning a lot of information about my 8th Great-Uncle, William Richardson, thanks to his detailed will. William Richardson, "being sick and weak of body" had written and signed his will on 1 April 1776. (2) Just two days after the colonies in America had declared their independence from Britain, William died on 6 Jul 1776. (3) Immediately I wondered if William and his family had even been aware of that momentous event in American history. How long would it have taken for the news to travel from Philadelphia to New Hampshire? His will was then presented for probate in the court of Rockingham, New Hampshire on 7 November 1776, with the final inventories recorded on 27 Nov 1776. (2) Generally, my research seemed to show wills being presented for probate within a short time of the death, sometimes even within days. Had the changes in American government caused it to take four months for William's will to be presented to the court, or was this just a case of finding the will? "will and bequeath to Elizabeth my dearly beloved wife two cows such as she should choose out of my stock of cows to be at her own disposal. And a horse to be kept for her to ride to the Publick Worship and elsewhere as she should have occasion, said horse to be kept at my Homestead Farm by my Executors that he may be convenient for her use during her natural life. I also give to her ... a sufficiency of firewood to be provided for her by my Executors and by them cut fit for her fire and laid convenient to the door of my dwelling house ... for the full term she shall remain my widow. ... I also give to her a third of the remainder of my estate." So, in addition to a sizable portion of his estate, William wanted the widow Elizabeth to have transportation to church and plenty of firewood for warmth, left cut and stacked at her door, all in addition to the two cows. I love the specificity of this bequest. daughter Hannah Richardson, single woman, "non compos ... totally incapable of taking care of her own substance"
This complete list of bequests confirmed the children I kept finding on unsourced online family trees as well as providing details of prior realty transactions between William and his two sons, all of which influenced the nature of the legacies left to the two sons. It was touching to read in detail William's plan for the care of his daughter Hannah. He provided a sum of money to be used by Hannah's guardian for her care. William intended, as stated in his will, for Hannah to be cared for by Elizabeth until Elizabeth's death. Later, following Elizabeth's death, the minister of the church of Pelham was to recommend a "kind, human, and judicious and proper person" to care for Hannah. If the money set aside for Hannah's care was not enough, William said that funds for her care were "to be equally divided [among] her brothers and sisters and their legal representatives". William seemed to have carefully make plans to ensure that Hannah would always be cared for in any eventuality. So my afternoon ended with some insights into colonial life, a sourced listing of William's children, details of Williams' land holdings, and a very specific plan for the care of one of his children. What more could you ask for when reading a will? Don't you wish every document we encountered had such clear, detailed information? Now to learn more about Capt. Joseph Butterfield and Capt. Reuben Butterfield since William's brother Zachariah had married a Butterfield woman and there were other family marriages with Butterfields in successive generations. Plus I need to take a closer look at the various William Richardsons on WikiTree, now that I have the names of more family members. Plus, Archive.org has an interesting book, The Richardson Memorial by John Adams Vinton, that I have just downloaded and need to start reading. Almost every answer brings forth new questions and the search for new resources. And that is fine with me. (3) "Capt William Richardson (unk-1776)", FindAGrave memorial #132487788; citing Pelham Center Cemetery, Pelham, Hillsborough County, New Hampshire; photo by homeboss and memorial page by Sara provide information. (4) Crow, Amy Johnson, "Finding All the Daughters in the Family Tree", posted 20 Sep 2018; accessed on www.amyjohnsoncrow.com. New Hampshire, Wills and Probate Records, 1643-1982(2) "New Hampshire, Wills and Probate Records, 1643-1982, Rockingham, p 404-410, will and inventory of William Richardson, will signed 1 Apr 1776, inventory dated Nov 1776", accessed on Ancestry.com. (3) "Capt William Richardson (unk-1776)", FindAGrave memorial #132487788; accessed 14 Oct 2018; citing Pelham Center Cemetery, Pelham, Hillsborough County, New Hampshire; photo by homeboss and memorial page by Sara provide information. Sometimes we accidentally stumble onto something special. That was certainly the case with this book, Passed and Present by Allison Gilbert. Frankly, I checked it out relating more to memories of my late husband, but I found a lot of ideas that connected with sharing memories of anyone we cherish. I wanted to share a few ideas Gilbert presented that spoke to me as unique or interesting, or special ways to remember our ancestors. For starters, the book is filled with a number of ways to use items that has belonged to others but in new and more usable ways. Why not make a "Family Fossil" (Gilbert's term) as a way to display old buttons, pendants, ID badges, etc. by casting small items in clear plastic resin for new use as a paperweight. Another suggestion was to present jewelry, tools, other memorabilia in a shadow box, together with a picture of the ancestor. Or cover a picture frame with old keys once belonging to a special person. Her repurposing projects range from easy and child-friendly to advanced or for skilled crafters, some referring to professional services for completion. I appreciated the wide variety of suggestions and the artwork by Jennifer Orkin Lewis presented in the book's list of "Forget Me Nots". Other suggestions are more personal such as simple Random Acts of Kindness done in memory of an ancestor, things like baking cookies for someone as a memory of baking with your grandmother or a family hike to pick up litter along a favorite trail. Allison Gilbert also suggests that sometimes passing something on to others is the best use for an item, far better than the item gathering dust on a shelf or being stuck away in a drawer. During a recent family visit, complete with accompanying the grands for a tour of the attic, one of my grandchildren kept looking at a wooden gavel made by her great grandfather. Others had seen it on previous trips, but no one had been very interested in the gavel before. After seeing my granddaughter's smile when I shared the story about the gavel, I knew it was the right time to pass it on to her. And so I did. 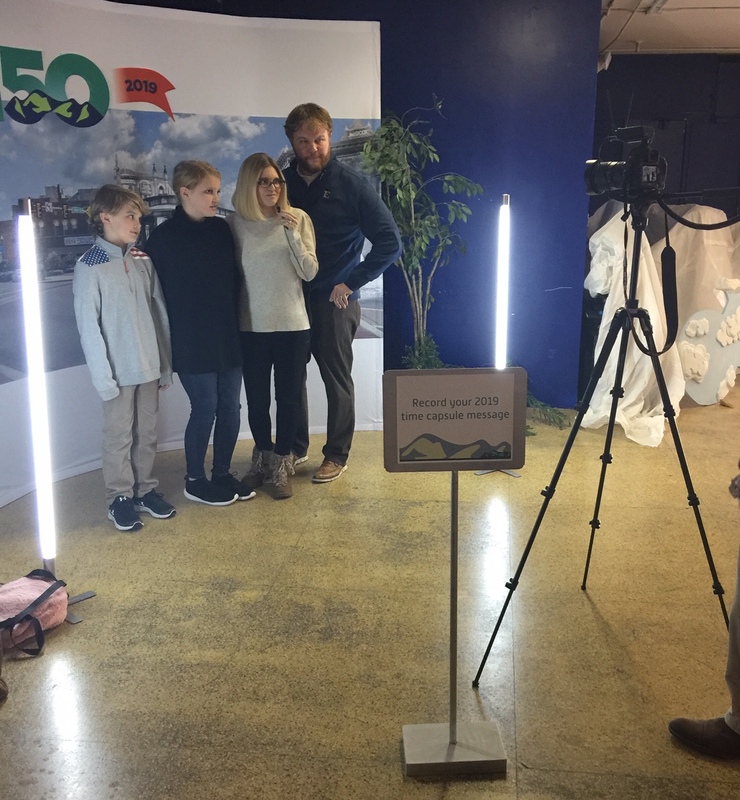 Technology can help family connect in ways when geography might otherwise be a hindrance. Posting old family photos to a Facebook family group page on Throwback Thursday can share special memories in a way that might interest even those not specifically involved in genealogy. Or, the author suggests, this might be a good time to digitize family recipes hand written by loved ones and use these treasured recipes to create a family cookbook. The book left me with a number of ideas to consider as special ways to remember my husband as well as to remember other ancestors. Besides arts and crafts projects, Gilbert also has a section of ways to remember others on holidays as well as a collection of memorializing traditions from other cultures. I spent several weeks reading (and rereading) the ideas presented in the book, photocopying a few pages, even getting a friendly email overdue notice from my library, but it was time well spent. 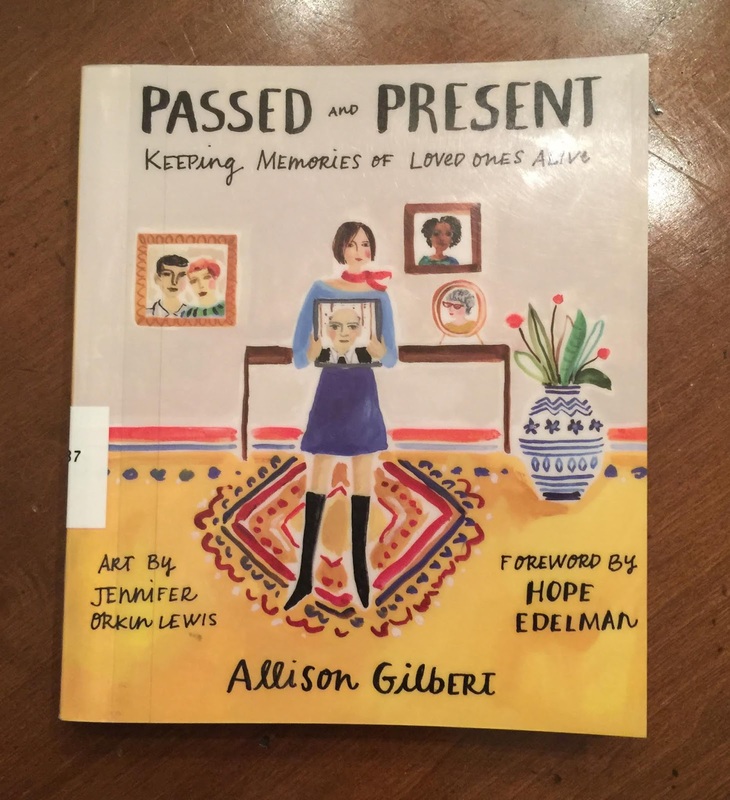 Passed and Present: Keeping Memories of Loved Ones Alive by Allison Gilbert is filled with great ideas, all the while being sensitive to the emotional impact of dealing with family treasures and the personal possessions of loved ones. 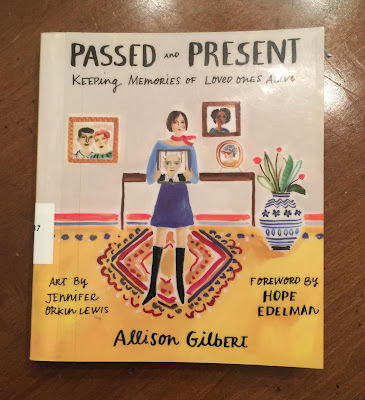 Perhaps this book will give you some ideas on meaningful ways to share your family treasures and help keep those memories alive. Details found in the Estate of John Ballenger, Spartanburg District, South Carolina, petition for probate filed 18 Dec 1848.1 Included in the listing of bills of sale for this estate were a number of records of the sale of slaves from Ballenger's estate. These individuals are listed below. * Blogger Schalene Dagutis, through her blog Tangled Roots and Trees, developed the Slave Name Roll Project in 2015. This project is a means for listing the names of slaves as individual names are located through our research of wills, probate records, and property records. It gives us the opportunity to provide information so that present day descendants can make a connection to their enslaved ancestors. 1 "Administrations, Boxed 1-3, 1804-1847," South Carolina, Wills and Probate Records, 1670-1980 [database on-line]. Provo, UT, USA; Ancestry.com Operations, 2015, citing original date: South Carolina County, District and Probate Courts. Follow Mary Nelson's board Celebrating Family on Pinterest. 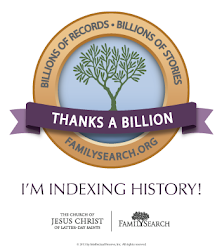 Search This Blog for family names, locations. Maybe we're related. Celebrating Family Stories by Mary P. Nelson is licensed under a Creative Commons Attribution-ShareAlike 3.0 Unported License.